So you’ve just gotten your report card, or your latest test, and… you passed!!!! Hooray!! By the skin of your teeth, you passed. Now you never have to worry about that stuff again…right? Wrong! In math, that’s rarely the case. Every layer of skills is setting you up for success with the subsequent layer. So if you don’t have the previous layer at Mastery, then you’re going to struggle with the next. It may seem like the teacher is doing you a favor when they give you the extra points to nudge you into passing. Maybe you did some extra credit, turned in all of your homework, and showed up to office hours, because you needed that grade. But if you don’t have the skills, you’re still in trouble. At MFK, there are no grades. You either know a skill or you don’t. You don’t get to move on when you “pass”. A ‘C’ doesn’t cut it. 70% does NOT indicate that you know something. Neither does 80. We practice it until you know it. And because we’re practicing dozens of other skills simultaneously, it doesn’t get boring. I’ll keep your brain awake! So when is a C worse than an F? Well, as far as skills go, always! A C pretends that you know something. An F is honest. A C can set you up for future failure, an F can be a turning point. Points to ponder. Fun stuff to roll around in your head, or better: to talk about with your learner! 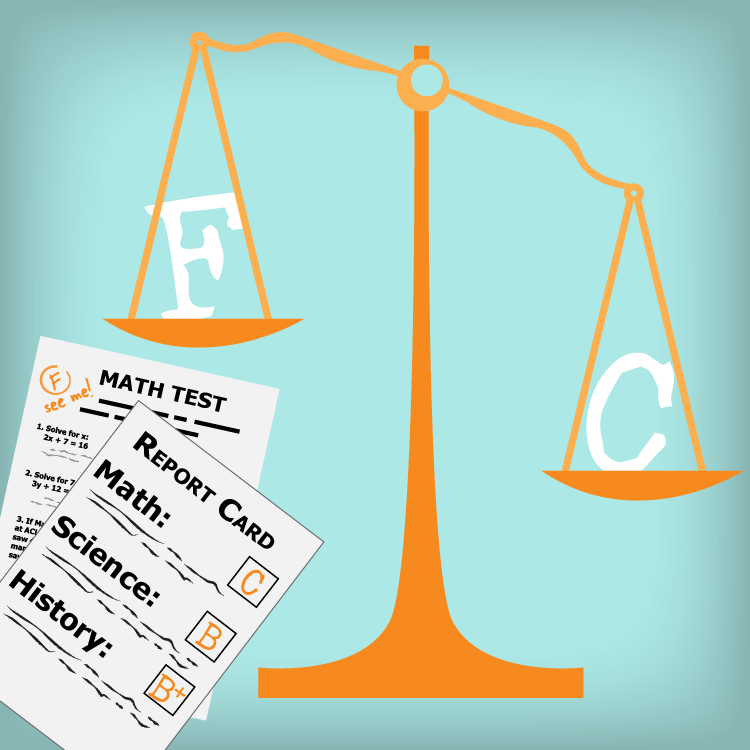 Talking with your learner about grades can be challenging for any parent, especially when a student is struggling in a subject. 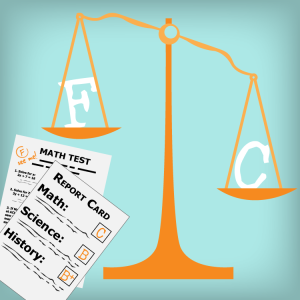 What tools do you use to talk about academic progress? What struggles have you had? What victories?